The internship program is presented as a series of weekly planners, lesson plans and standard operation protocols (SOPs) organized around two basic components. Component 1 covers the basic molecular biology laboratory skills to amplify and manipulate recombinant DNA, clone target sequences into cloning or expression vectors and express and analyze target DNA products using SDS-PAGE. Component 2 is considered intellectual pursuits and is incorporated into the program to allow / facilitate interns to develop new products for the company based on the skills demonstrated in the laboratory. The lesson plans cover 5 – 6 weeks of work. It is anticipated that the internship is performed during the school district’s summer break. Materials required to initiate an internship are Target DNA sequence, cloning plasmid, expression vector, expression host(s), and primers. Depending on the size and complexity of the DNA construct internships can specialize in manipulating DNA sequences or analyzing protein expression. It is left to the company to define the target DNA sequences which in effect define the intern project. If the internship is simply to teach how to clone DNA sequences the target gene could be a reporter like luciferase. Moving the luciferase into an expression vector and screening for the production of light is a fascinating project. 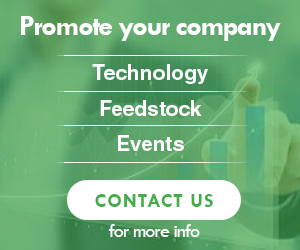 If you are a small company and time is money you may use target sequences that form a specific construct or product. The weekly planners are provided to help manage time and intern work efforts to be as productive as possible. These are references only and may be modified to suit a program’s need. Depending on the target DNA sequences used projects can be developed that either educate interns in basic skills to manipulate DNA or construct potential company products. High school aged interns generally report for work Monday through Friday during the day for up to 4 hours between 10:00 AM and 2:00 PM. Fridays generally conclude with group lunch trip. All cloning projects have particular steps that are more difficult than others especially in the hands of interns. The weekly planners try to take into account these potential problems by assigning one or more days to review and trouble shoot procedures. There are six weekly planners designed to allow an instructor to demonstrate the DNA manipulations required to move a target sequence / gene into an expression vector and then into an expression system. The weekly planner references lesson plans and the standard operating protocols (SOPs) required performing the specific tasks. The estimated time required for a small a group to perform the tasks is given below. In New York State high school aged employees have work hour restrictions depending on their age. Each day in the week is structured with interns completing time sheets and a pre-work meeting. The pre-work meeting is used to introduce the lesson plan topic and / or review prior work outcomes. The physical and intellectual activities anticipated for the day are also listed. There are two components to the internship, the physical skills required to perform molecular biology based techniques in the laboratory and intellectual pursuits. Intellectual pursuits are used to focus intern’s creativity to develop new products for the company and provide an activity during long incubation times. The intellectual pursuit is a tool to empower the intern by teaching how to channel creativity into real world products. It is anticipated that one or more intellectual pursuits may become the subject of a Phase I SBIR application that may be generated as a work study project during the school year (Follow on Work Study Option). 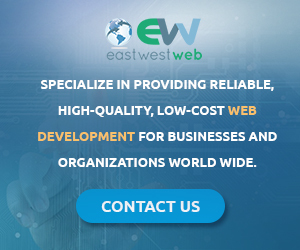 It is anticipated that the follow on work study option is used when an intellectual pursuit has the potential to result in a company product for commercialization. The structure used is a Work Study program delivered by the company but designed by the school principle. The structure of the interaction may change depending on circumstances. In our experience this resulted in a company instructor meeting with high school students after school hours that were not paid to prepare a SBIR Phase I application based on the results from intern’s summer experience / intellectual pursuits. Part of the work study required school faculty to support / facilitate preparation of the SBIR Phase I application. In our experience an individual from the school district’s English department reviewed the manuscript. The work study option tends to empower the students by including them in the early design of a project. Interns are asked to use basic communication skills to organize and write thoughts; present out comes, prepare project plans and funding budgets accordingly. This interaction tends to become a strong recruitment tool for a company developing / seeking entry level labor. All lesson plans have a similar structure. The lesson plan has a descriptive titled with a specific overview and purpose. The overview and purpose are the main objectives for the lesson. The lesson is then separated into five components: objectives, information, verification, activity and summary. A line item guide for the teacher and student is provided for each component to facilitate the transfer of information and skills required to meet the objectives of the lesson plan. Meeting the objectives of the lesson plan require performing the activities and verification of activity outcomes. The summary component defines the end product or skill required for demonstration. The lesson plan also provides a list of materials and SOPs required, other resources for students and instructors such as web sites or books and any additional notes to facilitate the activities of the plan. The Standard Operating Procedures provided were generated by C2 Biotechnologies for the internship program. They are provided as is for any organization to reproduce, publish and use in the development of high school summer internships. Each SOP has a call number, title and description. The SOPs are organized into three sections: materials and reagents, protocol and reference. The materials and reagents section lists the chemicals and sometimes equipment required to complete the protocol. The protocol section may have a short introduction describing the background and outcome of the method / technique and a specific list of tasks to perform. The reference section will list books, publications, web sites and / or any other source that provides support for the protocol. The intern program is terminated with intern evaluations designed to provide feedback to the participants regarding work habits. The evaluation has nine performance categories, attendance and work habits section, and student goals section which are completed during the orientation by both the intern and instructor. The performance categories are: organization skills, communication skills, relations with others, work quality, productivity and effectiveness, technical proficiency, attitude, safety and overall performance. The title of each performance category is self descriptive. Other categories may be added or removed to suit a particular program. Each performance category has a rating and comments section. Ratings are numerical evaluations used to inform intern on their specific proficiency. The comments section is for the instructor that may have specific advice. The overall performance is the sum of each rating for each performance category. The attendance and work habits section is based on the intern’s ability to commit to a program, project or job. Real world employers are dependent on their employees to commit come to work. This section provides potential new employees feedback on how the company views their work habits. This section is signed and dated by the reviewer. The student goals section is developed at the intern orientation and serves to focus attention to the specific objectives and goals for any project. This section is drafted by the instructor and intern together. Both student and instructor sign and date these goals. The student goals section is revisited at the end of the intern program and reevaluated. Specifically were the goals reached why or why not? This section is completed, signed and dated by the student and instructor together. These evaluations for part of the intern progress report to be forwarded to the school district. 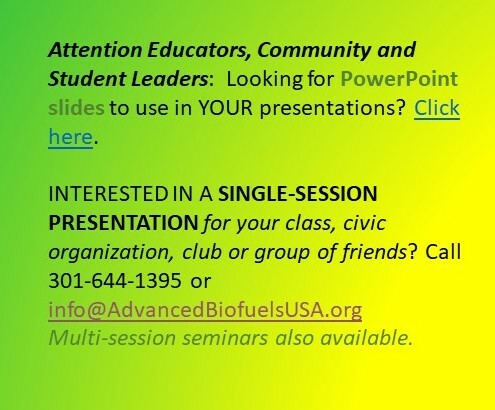 For more information on the “beta test” of this project, see Creating a High School Incubator in Biofuels Development from Lab Technique to Grant Writing—Sounds Impossible? See C2B’s Project in Green County, New York. 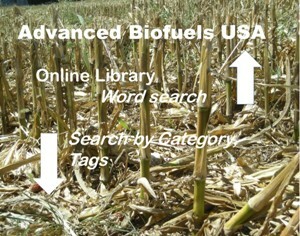 Advanced Biofuels USA is not responsible for the content of the following materials. We suggest that you consult an attorney regarding legal issues related to employment regulations, contracts, etc., that apply to your specific situation. The materials below are provided as examples used by C2Biotechnologies only. SOP 100: Procedure for resolving protein molecules in polyacrylamide gels. SOP 102: Procedure for detecting proteins in polyacrylamide gels. SOP 103: Procedures for working safely with biologics. SOP 104: Procedures for amplification and purification. SOP 105: Procedures for DNA gel electrophoresis. SOP 106: Procedure for digesting DNA using restriction enzymes. SOP 107: Procedures for ligation of DNA fragments and transforming E. coli bacteria. SOP 108: Procedure for transforming B. subtilis bacteria. SOP 109: Procedures for inducing target gene expression and recombinant protein production in B. subtilis. SOP 110: Procedures used to prepare buffers and solutions. SOP 111: Procedures used to pipette small volumes of liquid. SOP 112: Procedures used to produce bacterial glycerol master and working stocks. SOP 113: Procedures used to produce bacterial glycerol master and working stocks.